John Melville was one of the leading figures of British Surrealism. 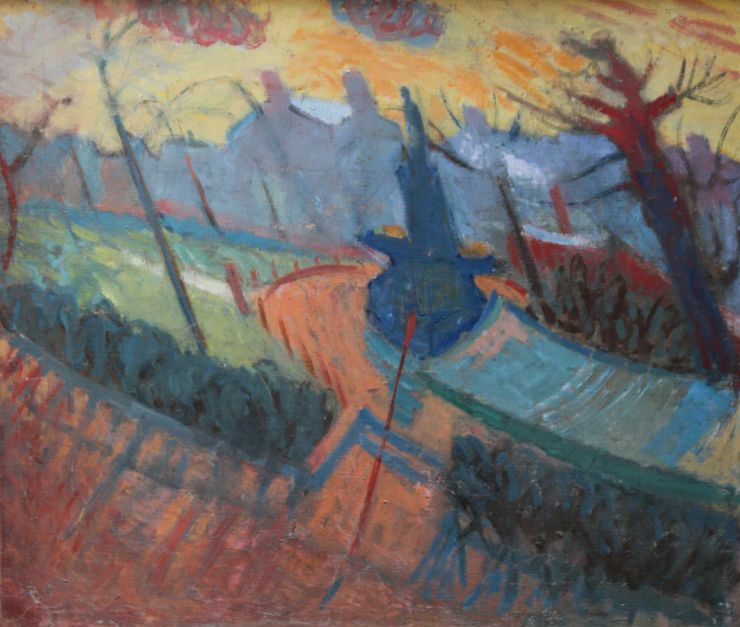 This abstract, colourful Surrealist depiction of a Post War British landscape was painted circa 1950 and is a fine example of his work. 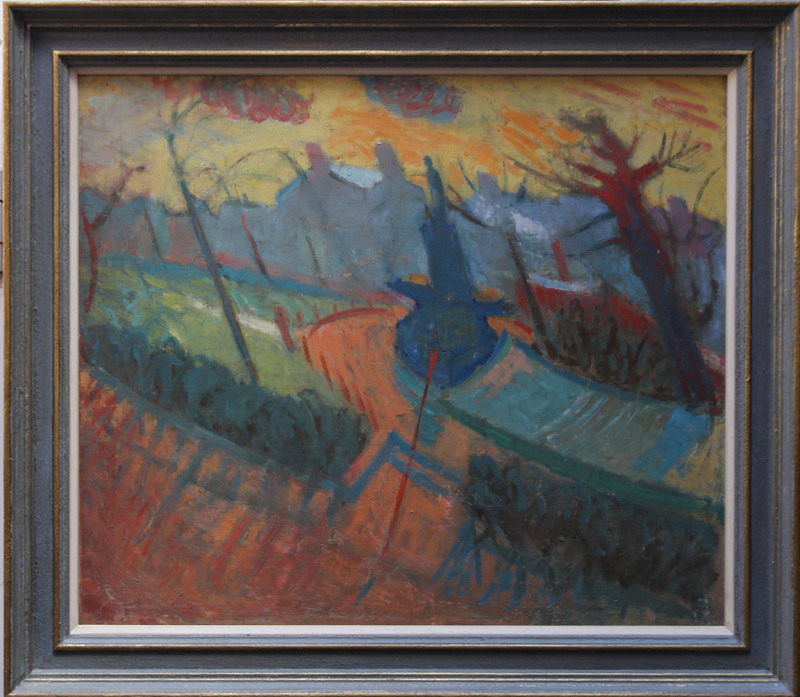 An original modern British oil on canvas with family provenance. Housed in a new hand made gallery frame which compliments the picture 41 inches by 31 inches. Excellent condition.